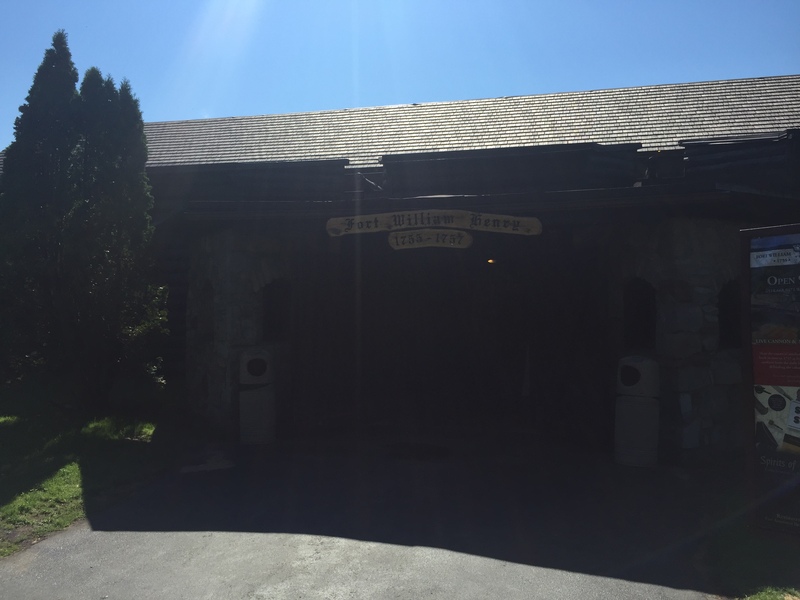 Continuing our family tour of Upstate New York we came across another hidden gem Lake George. Now I will admit that years ago before our first daughter Hanna was born my wife and I took our Babymoon here. Babymoon you say? Yes we never heard of it either but were told by the doctor that once my wife made it to her second trimester it was the perfect time to take a Babymoon which is like a honeymoon only you take it before your first child is born. I guess it’s kind of like a “kiss your sanity goodbye” final vacation. We initially stayed for a long weekend which was the perfect amount of time to hang out on the lake and just enjoy the quaint little town. This time unfortunately we were just visiting for one night before heading finally making our way back to Jersey the next day. But we didn’t let that scare us away from taking in the beauty of the lake. By the time we wandered around a bit, everyone was pretty exhausted so we checked into our hotel. After a short rest everyone was getting hungry but no one really wanted to go back out so I offered (wink wink) to head out and pick up some food. Using my trusty Yelp! app on my phone I found a pizza place at the top of Canada Street that runs along the west side of Lake George. Why did I do this? 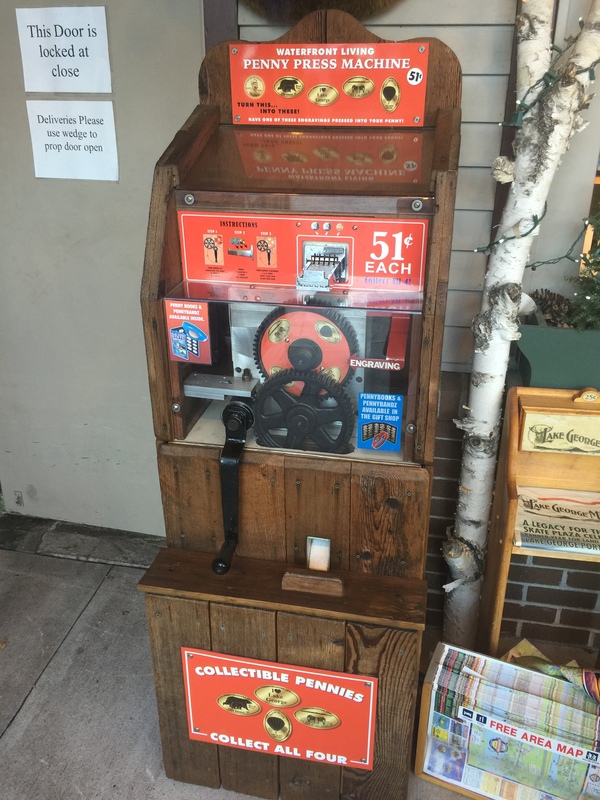 Because there were a bunch of penny machines located nearby. What a crazy questions I’m surprised you didn’t think it of. Anyways, after placing our food order I had about 30 minutes to wander around and collect everything I could. 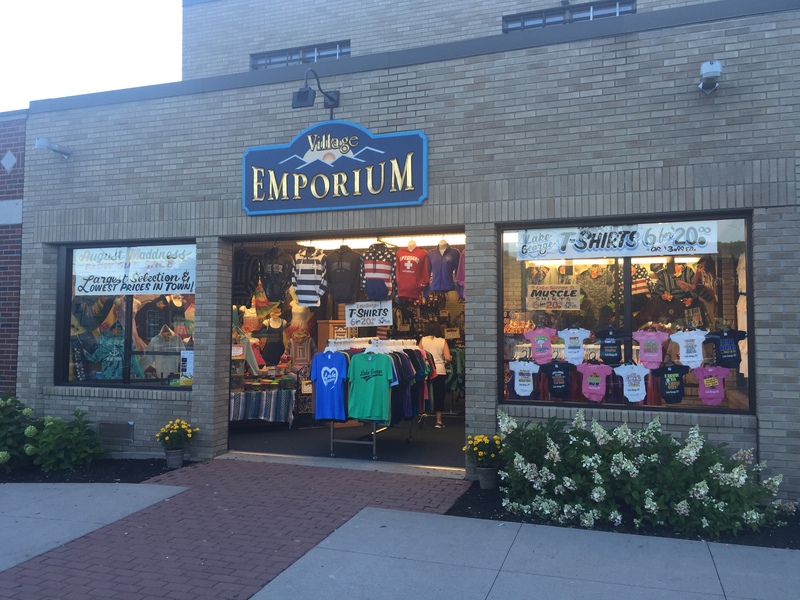 My first stop was the Village Emporium. 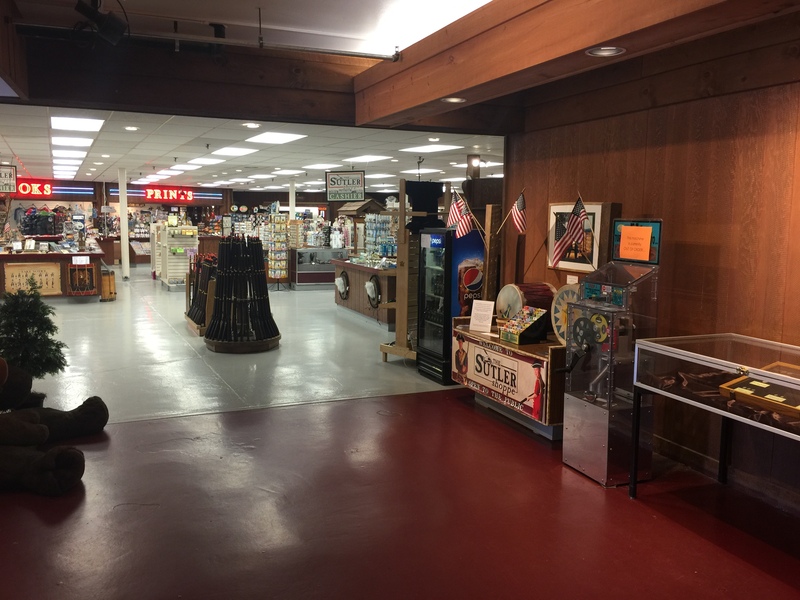 As with most of the stores on this street they were jammed packed with T-shirts, sweaters, shot glasses and all sorts of other things you would usually find in this type of souvenir store. Just inside the main front entrance was the penny machine. Just like I wrote about previously when visiting a store in Saratoga Springs this machine is a little unique. I won’t go into details again, but please heed my warning “READ THE INSTRUCTIONS”. 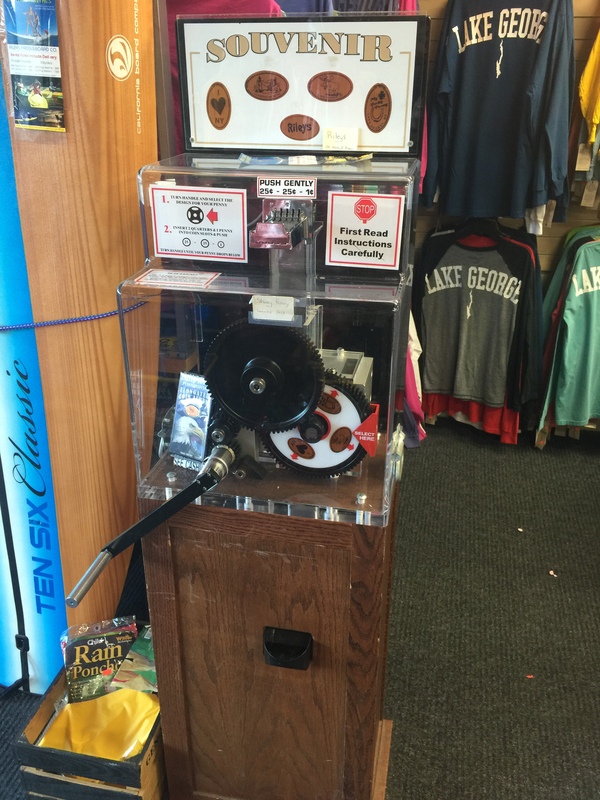 Don’t just jam your coins in, the machine works just a little differently than you may be used to. The machine offered 3 designs. 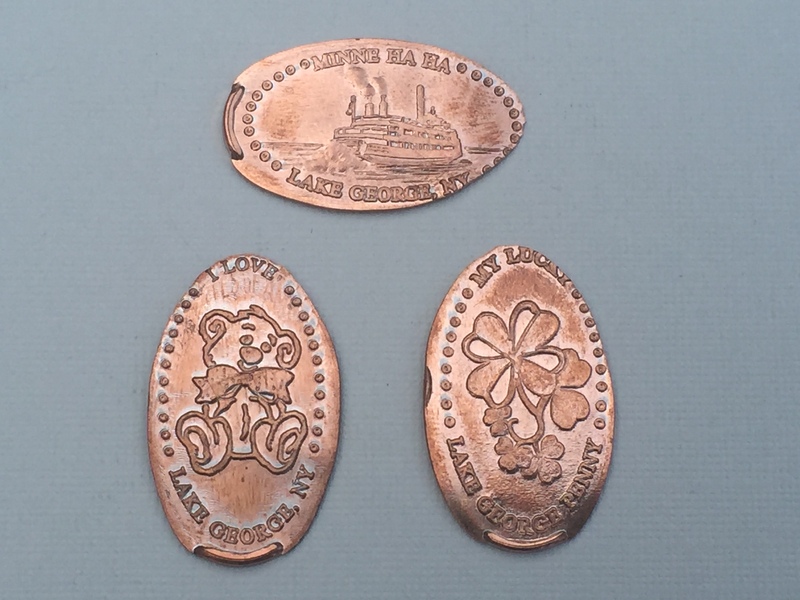 The Minnie Ha Ha Ship, I Love Lake George NY with a Teddy Bear, and My Lucky Lake George Penny with Shamrocks. I felt like I was playing beat the clock as my dinner was going to be ready before I knew it and I still had quite a few places to check out. 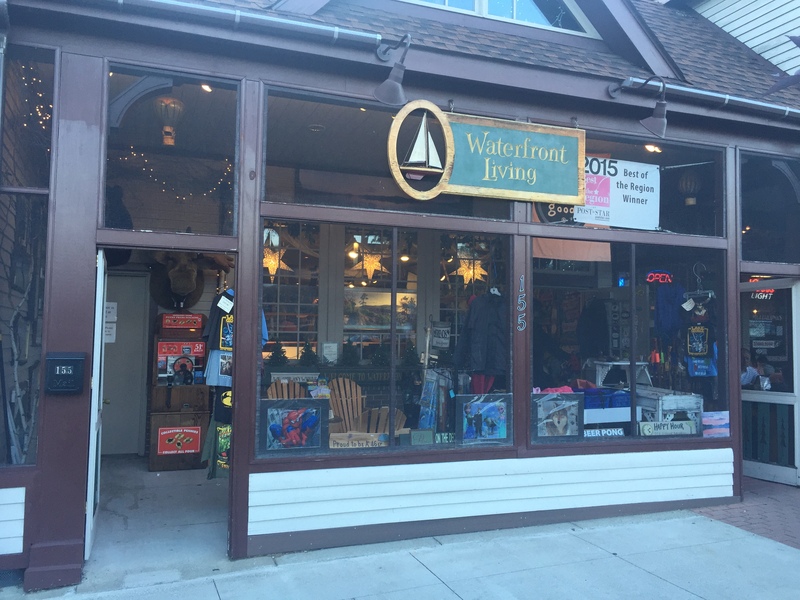 Thankfully just a few stores away was my next stop the Waterfront Living store. 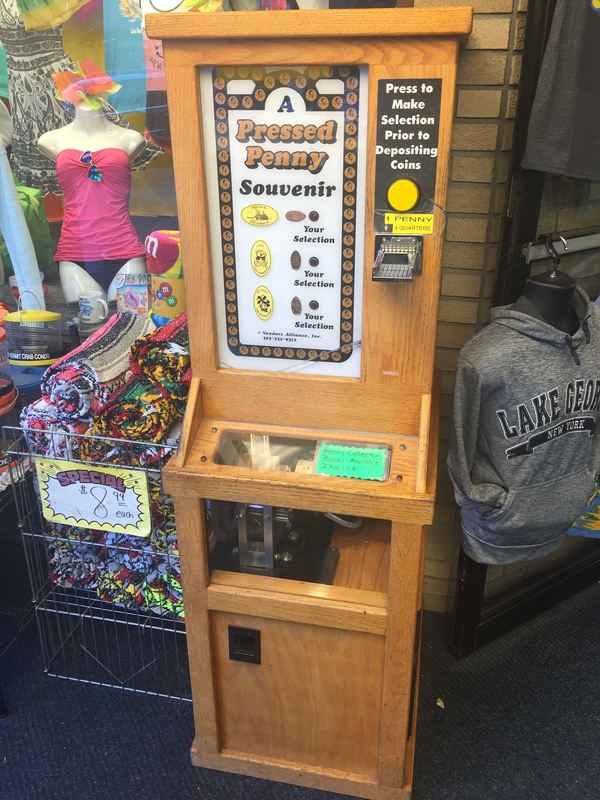 When I was doing some research before our trip I saw that this machine was a recent addition to Lake George. The machine isn’t right inside the main store, but out under the covered area near the street. I don’t know if this is left open while the store is closed so make sure to go during business hours to make sure you can access it. These had some cool images on them. 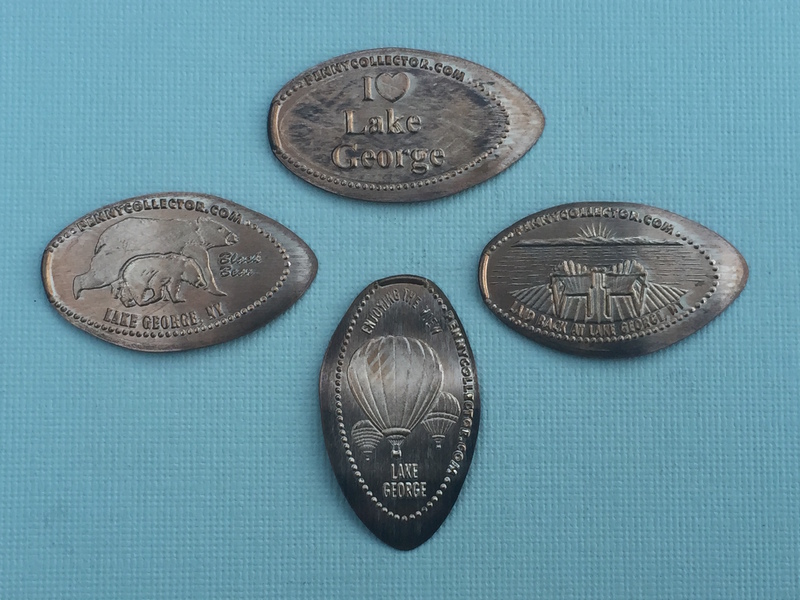 The four designs available included I Love (heart) Lake George, a couple of Black Bears, Laid Back at Lake George, NY and Enjoying the View with some Hot Air Balloons. Tick tock, tick tock time to get moving. Just another short walk away was Riley’s at the Lake. My wife and I used to have a cat named Riley and we always think of her when we visit this store. 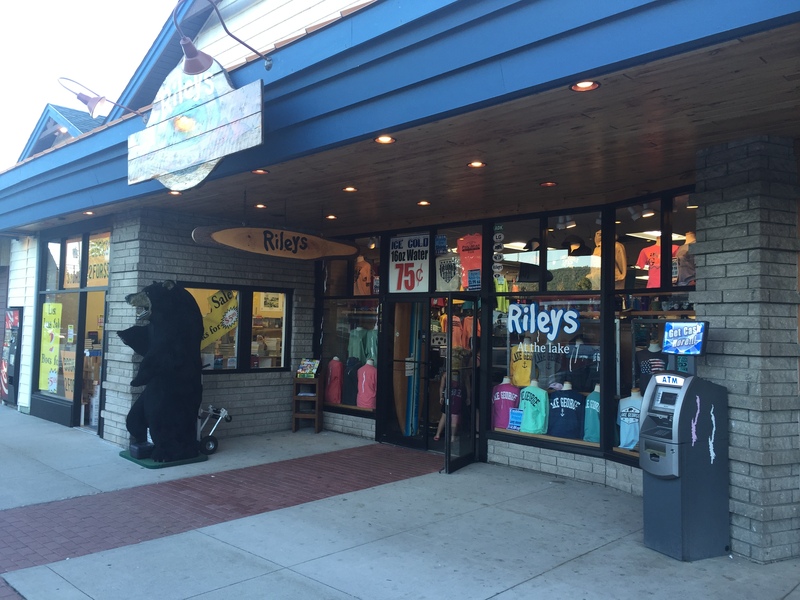 Before you get any ideas it’s not a pet store just another Lake George Souvenir shop with a penny machine inside, oh and some t-shirts and a giant stuffed black bear out front. 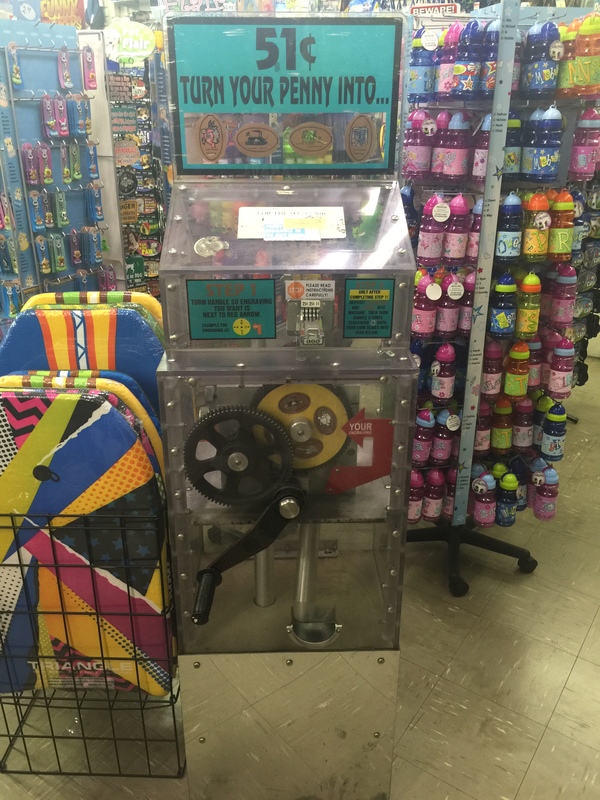 This machine had quite a few quarters and pennies laying in the bottom of the machine. I was a little nervous it wouldn’t work right but that was all for nothing as the machine worked perfectly and out popped my four new coins. The coins rolled a little long but the images were all intact. 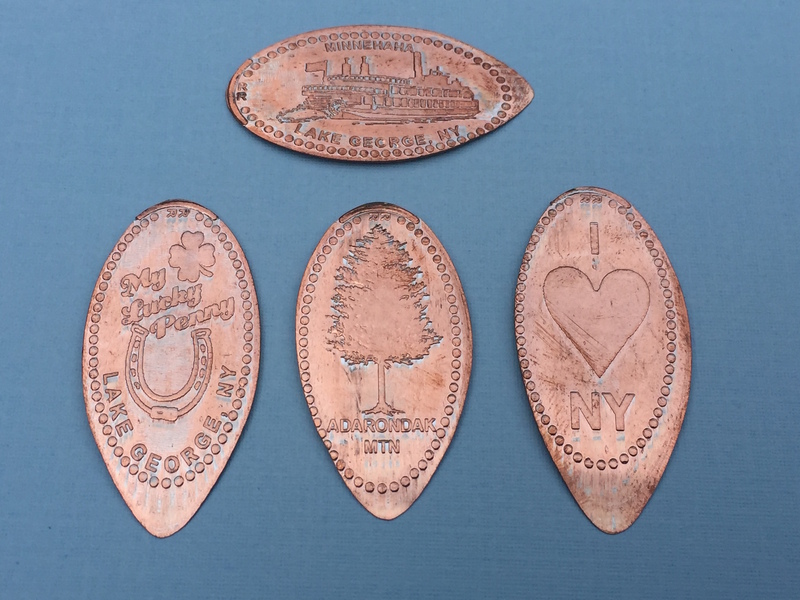 The designs were I Love NY, Adarondak Mtns (Yes this is how it’s spelled on the coins take a look yourself), a Moose Lake George NY, and My Lucky Penny Lake George NY. I left the store and continued heading down to the next traffic light and made a left onto Beach Road. 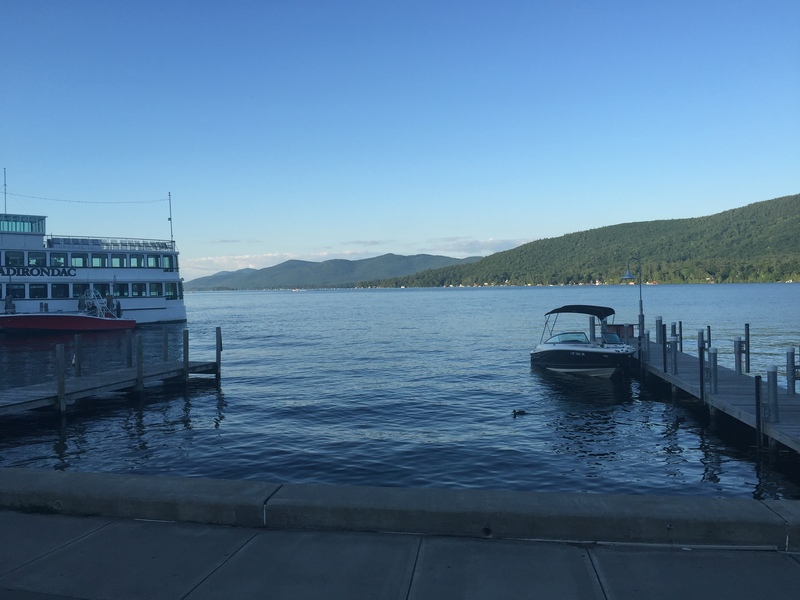 This is where you can sign up to enjoy a dinner cruise, or other boat excursions out onto the lake. They also have a really nice walkway that follows the southern end of the lake with a beautiful view of the entire lake and surrounding mountains. As with the main street there are also many different shops and restaurants along this road. 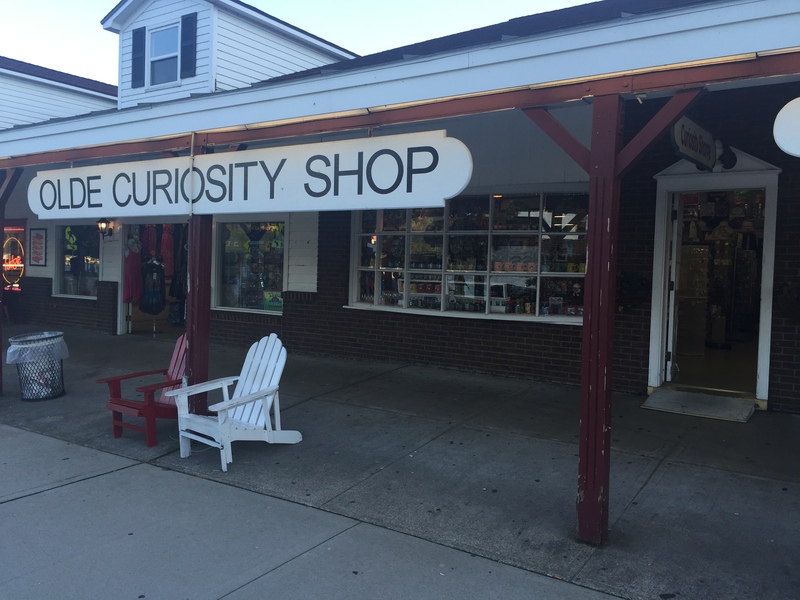 One of those was the Olde Curiosity Shop. There wasn’t much in here I hadn’t already seen in other nearby souvenir shops, but as I made my way to the back of the store I found the penny machine hidden inside. This machine worked fine except it wasn’t level so it kept tilting to one side each time I turned the handle which took a little doing to not crack my skull on the corner. But with some coordination I pressed the coins without permanently hurting myself. The coins at this l location had designs of a War Drum, a Cannon, one of the River Boats, and a Colonist with a Native American. This last coin is a perfect segue into the final stop on my quick penny squishing mission. 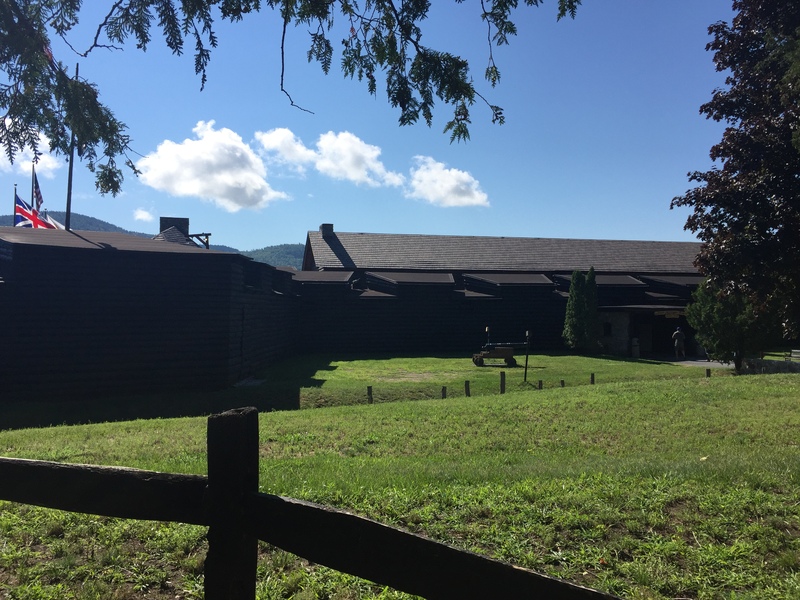 At the top of the fairly large hill located behind the store was Fort William Henry which is now a museum. As I quickly made my way up the hill there are a few various pathways that all lead towards the museum. As you get closer you can hear the sound of marching and gun fire all from the battle reenactments that take place at various times during the day. Fort Henry was constructed in 1755 to command the southern end of Lake George. It was a British outpost to protect colonies further to the south. Since I was rushing against the clock and my food was getting very close to be done I didn’t have time to really check out the museum in all its glory. Instead I ran in to explore the gift shop. As you can see from the above picture just outside the gift shop was a penny machine. I headed over but quickly noticed the large sign tape to the top. “Out of Order” how could they do this to me. Oh well no biggie sometimes this happens and you just have to roll with it. 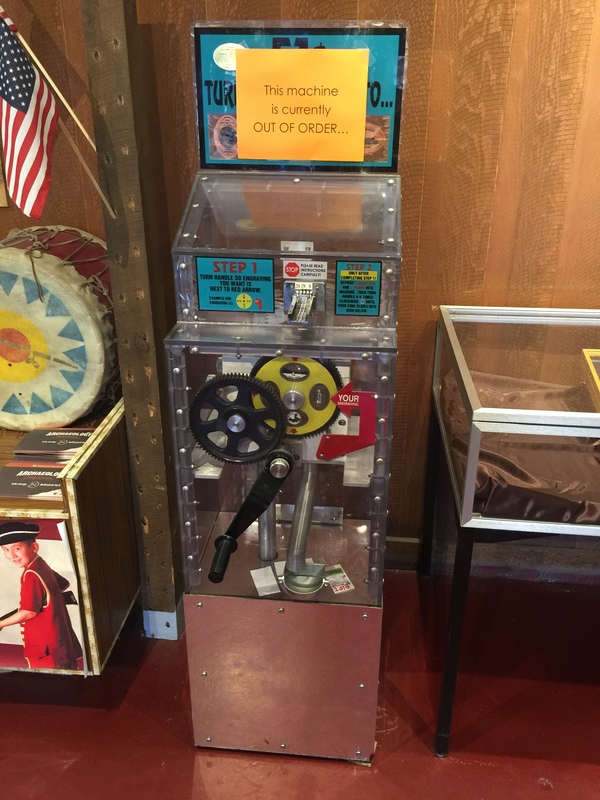 After we got back home from our trip I waited about a week and sent a letter to Fort Henry Museum with some quarters and pennies asking if someone could press me a set when the machine was back up and running. A very short time later I received my self addresses stamped envelope back with a nice set of coins. 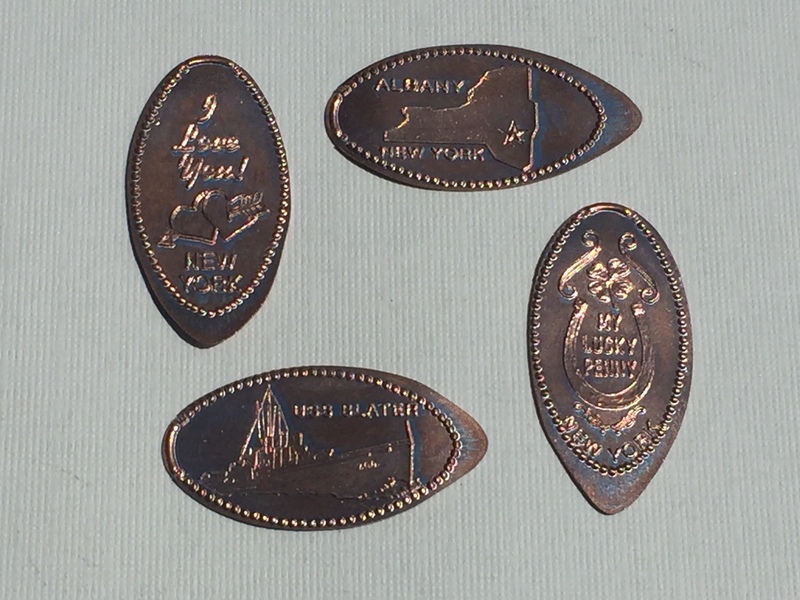 The pennies had some similar images to ones I had already collected but were still a great addition to my collection. 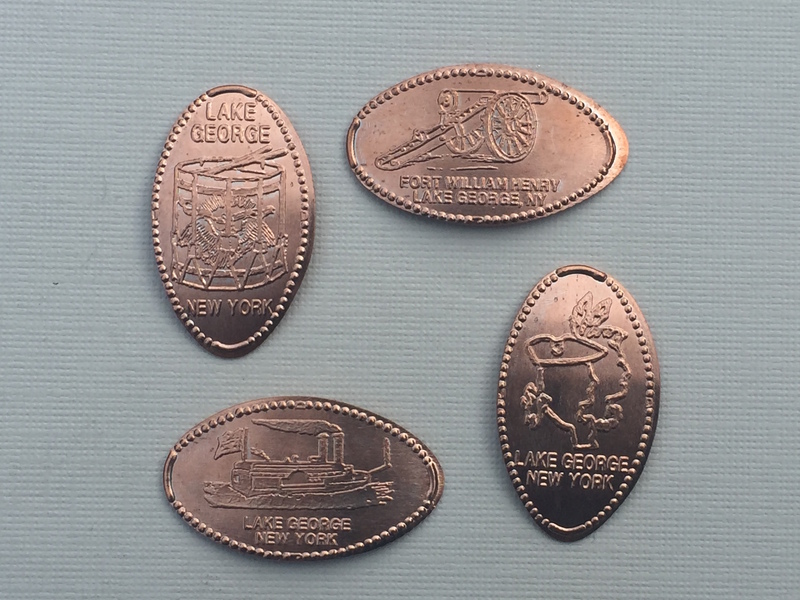 The coins showed a Colonies and Native America, I Love Lake George, a Cannon, and a Steam Powered Paddle Boat. Now back at Fort Henry I took a quick look around the gift shop and then headed outside. Our takeout order was just about ready so I made a mad dash back to the restaurant, paid for our food and jumped in my car. Somehow I had made it and our food was still hot which my family would appreciate. Once I got back to our hotel we quickly dug into all our food and had a great time just lounging in our room, laughing and reminiscing about the trip so far. Sometimes those are the best moments of family vacation, not waiting in lines or fighting crowds but just enjoying each others company.